The way we use Wi-Fi is about to change. As well as going much, much faster, it's also about to go far slower. For those wanting to upload and download data superfast while relatively near to a router, the upcoming WiGig will operate at 60GHz and support 'multiple-gigabit data rates' by 2016. The second technology, called IEEE 802.11ah and 802.11af, runs at just 900MHz and will offer very poor data speeds, but works across huge areas. 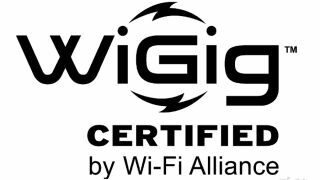 While WiGig will supercharge homes, it's IEEE 802.11ah that will fuel what should probably be renamed the Wi-Fi Internet of Everything. "WiGig, also known as 802.11ad, is known as 'microwave Wi-Fi', as it operates in a different, much higher frequency band, 60GHz," explains Graham Harvey, head of Wi-Fi testing at Farncombe, independent consultants in the TV and video industry. "We expect it to provide low power, very high performance – possibly seven gigabits per second – but over only very short ranges, perhaps one to 10 metres, within a single room in fact." Exact applications for this are not yet clear, though anyone that lives in an old house with solid walls will already be used to hovering around the Wi-Fi router when downloading something from the BBC iPlayer on an iPad, for instance – doing exactly the same thing to achieve seven gigabits per second seems perfectly acceptable. The most recent Wi-Fi standard, 802.11ac, may provide similar speeds to WiGig, though only over very short ranges in places where other Wi-Fi devices aren't present. Will wired networks soon disappear? Some predict that 802.11ac alone may be fast enough to begin making wired networks redundant. "It is unlikely that we will see those lovely RJ45 connections disappear overnight, but the building blocks are certainly coming into place for much less reliance on them," says Gavin Wheeldon, CEO of Purple WiFi. Wheeldon adds: "The Wi-Fi Alliance is also backing a 'voice enterprise' initiative to improve the quality of calls over Wi-Fi networks along with a certification program enabling extended power-saving features for existing Wi-Fi installations." What about Super Wi-Fi and Low Power Wi-Fi? 802.11af, also called Super Wi-Fi or White-Fi, employs unused TV spectrum at frequencies between 54MHz and 790MHz, over very long ranges (possibly several miles). It can offer reasonable throughput, perhaps 24Mb/s. It has similar applications as 802.11ah, also known as Low Power Wi-Fi, which will provide bandwidth for sensors and monitors in gadgets and appliances that will join up to create the Internet Of Things. Are the upcoming new Wi-Fi speeds overdue? "I don't see WiGig as being overdue, but I do think its arrival is timely and necessary," says Oliver Neuberger, telecoms specialist and associate partner at IT consultancy Glue Reply. "As the predictions around the Internet of Things are starting to materialise, more households are purchasing connecting devices for use in every room in the house," he says, adding that, "while most IoT devices are making low bandwidth demands on the router, an increasing number have large data transfer requirements and are currently being hampered by slow connectivity to the household router." While previously the connection to the ISP was the slowest link in the chain, with the uptake of high speed fibre this is no longer the case.